Dean Mathis and Don Mason are currently producing the Hayride Sunshine Show. Here's a little about their background. 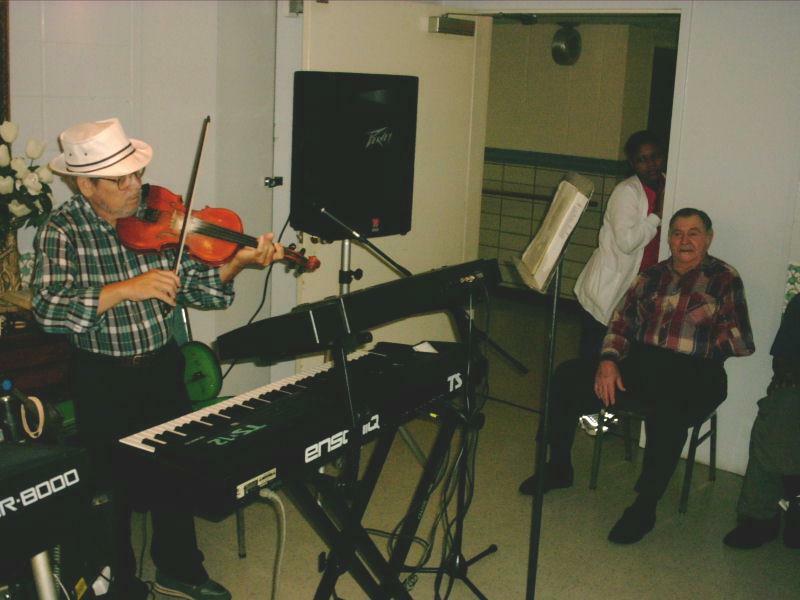 "Grandpa Jones" is ready to invite everyone to supper as Dean plays a hot fiddle song. 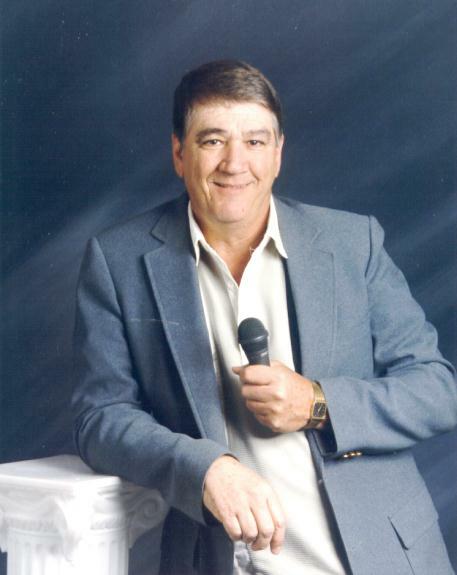 Don became a full-time professional entertainer about 25 years ago. He has appeared in almost every type of venue from piano bars to gigs with the Louisiana Hayride Band. He is probably best remembered for about seven years of nightly performances in his own nightclub, The Branch Office, in Bossier City, LA The club became almost a legendary meeting place for various musicians to jam and sing with Don, while local residents and visitors alike enjoyed the unequaled atmosphere and dance music. His laid-back vocal style is augmented by his expertise at the keyboard. Dean is probably best known for his work with The Newbeats. Dean and brother Mark, along with Larry Henley, had a series of hit songs in the 60's. The most familiar is the ever-popular "Bread And Butter", a world-wide Number One hit in 1964. They toured the world for several years. Dean also has produced many albums and songs for other groups, and was the integral force in KTel Records, which helped pioneer the television infomercial craze. He plays keyboard, fiddle and guitar in addition to his strong vocals.